The Freedom of Information Advocates around the world use a variety of ways to celebrate 28 September – the International Right to Know Day. They organize conferences, workshops, concerts, theater performances. They also present awards, make videos, compose music. Celebrated by dozens of organizations and activists around the world, the Right to Know Day was recognized by a number of governments and Information Commissioners as well. Since 2003, Access to Information Programme celebrates the International Right to Know Day by holding an annual Awards Ceremony in Bulgaria. We present four awards for contribution to the freedom of information and two anti-awards to dishonor bad practices of not respecting the right of access to information. The nominations are collected on the base of permanent monitoring of the access to information provision practices and AIP advocacy for more active exercise of the right to information. The winners are selected from a large number of nominations by a Jury on the base of established criteria. 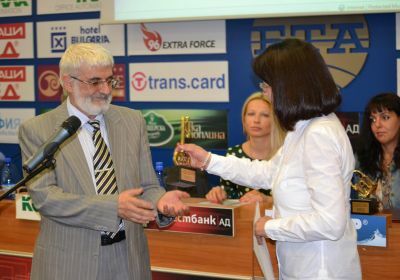 We present the “Golden Key” awards to citizens, journalists, and NGOs, who have actively exercised their right of access to information and to institutions which have most efficiently organized the provision of access to information to the public and has been most open and transparent to citizens. A “Padlock” and a “Tied Key” are presented to most non-transparent institution and for an absurd access to information practice. At the special Right to Know Day Awards Ceremonies, which AIP organizes and holds every year since 2003, we have presented 65 awards and 99 honorary diplomas. The “Golden Key” award has become a symbol of free access to public information, transparent and accountable government.